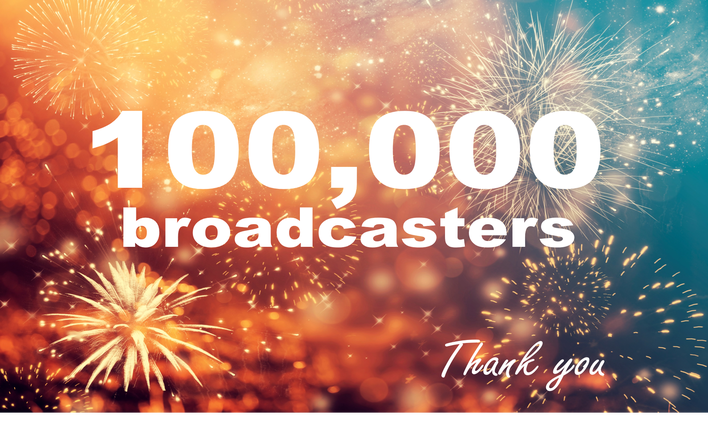 SAN FRANCISCO, October 10, 2017 – DaCast, the Streaming as a Service™ platform, reached 100,000 broadcasters today! 100,000 broadcasters are benefiting from our white-label online video platform delivering live and VOD streaming over Akamai CDN. We are very happy about this news and would like to thank all our users for being part of this adventure with us!